Eu não sei como ela consegue, mas cada livro que leio eu adoro mais essa mulher. 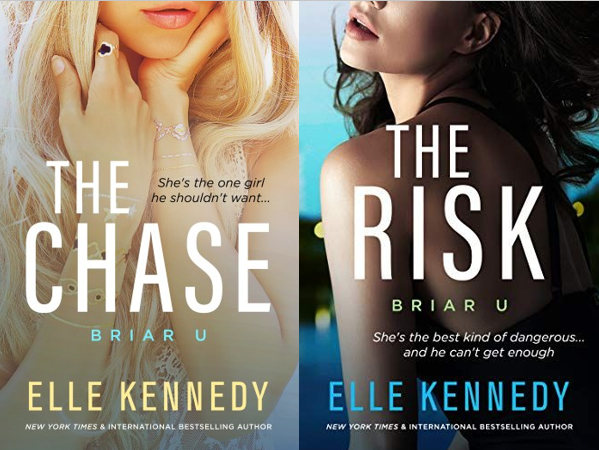 The Risk é o segundo livro da série spin-off da série Amore Improváveis (O Acordo, O erro, O jogo e A conquista) e irá contar a história de Brenna, filha do treinador de hóquei da Briar e de Jake Connelly, capitão do time de hóquei de Harvard. Sim sim meus amigos, vocês não entenderam errado, o galã desse livro não é da Briar e sim de Harvard, e pra mim isso foi um dos pontos fortes da história. Achei que deu uma diversificada, além disso o personagem em si é muito fofo e me lembrou muito o Logan do O Erro. Nós começamos o livro sabendo que Brenna está ficando naquela vibe sem compromisso com o Josh Macarty, um dos jogadores do time de hóquei de Harvard que ela conheceu numa festa que foi junto com Summer (Summer conhecia um povo de lá pois havia feito high school com um dos jogadores). Porém persuadido por Jake, que acha que Brenna é o motivo das distrações que Josh nos últimos jogos, ele acaba terminando as ficadas por mensagem. Brenna fica puta mesmo não gostando de Josh de verdade, e tira satisfação com Jake. É nesse momento que Jake começa a reparar o quão bonita e interessante ela é. Mas até aí tudo bem, ele não faria nada. Acontece que o destino fará Brenna ir a uma entrevista para uma vaga de estágio em jornalismo esportivo na qual seu entrevistador escroto parece amar Jake, e sem pensar muito no que está fazendo querendo conseguir a vaga Brenna mente que Jake é seu namorado. E como o entrevistador a convida para um jantar antes da reposta sobre a vaga, Brenna tentará convencer Jake a se fazer passar por seu namorado nesse encontro fake. Jake, já interessado em conhecer Brenna melhor, obviamente só aceita com uma condição: ele vai ao encontro fake se ela for a um encontro verdadeiro com ele depois. Sem muita alternativa Brenna acaba aceitando, e aí meus amigos a história vai começar de fato. Ambos irão começar a entender que por trás da primeira impressão há muito conteúdo entre os dois lados. Jake vai aprender que por mais que pareça toda poderosa, Brenna é muito frágil e esconde um segredo muito duro de seu passado que a atormenta até hoje, enquanto Brenna irá perceber que Jake é mais cavalheiro e gentil do que deixar transparecer a todos. E aí é história amiguinhos, leiam porque sério, pra mim esse foi melhor que o The Chase, o primeiro dessa série spin-off de verdade! Pro terceiro volume (The play) eu espero uma história bem leve e divertida pois a gente já meio que desconfia quem será o casal da vez. Só adianto que pelo que li em goodreads etc teremos mesmo a história de Hollis sendo contada (um dos novos moradores da república que tanto amamos). Agora é segurar a ansiedade até o lançamento deste próximo em outubro deste ano! I don’t know how she can, but every book I read I love this woman even more. 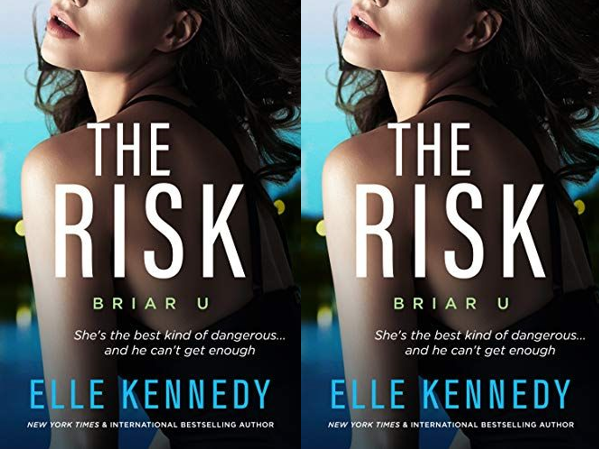 The Risk is the second book from the Off-Campus spin-off series Briar U (The Deal, The Mistake, The Score and The Goal) and it will tell the story of Brenna, the daughter of Briar’s hockey coach, and Jake Connelly, captain of the Harvard hockey team. Yes my friends, you did not get it wrong, one of the main characters in this book is not from Briar but from Harvard, and for me that was one of the strengths of the story. I thought it diversified the series, plus the character himself is very cute and reminded me a lot about Logan from The Mistake. We started the book knowing that Brenna is datting Josh Macarty, one of the players from Harvard hockey team she met at a party that she and Summer attended (Summer knew one of the hockey Harvard guys because she did high school with him). But persuaded by Jake, who believes Brenna is the reason for Josh’s distractions during the last games, Josh ends up their thing over a phone message. Brenna gets really pissed even though she doesn’t like Josh, and then she goes to tell Jake to not be in the middle of her businesses. It is at that moment that Jake begins to notice how beautiful and interesting she is. But so far so good, he would do nothing. 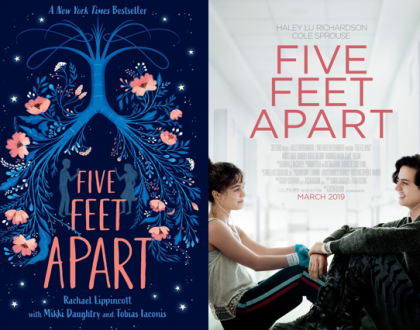 It turns out that fate will make Brenna go to an interview for a sports journalism internship in which her gross interviewer seems to love Jake, and without thinking too much about what she is doing wanting to get the job Brenna ends up telling Jake is her boyfriend. And since the interviewer invites her to a dinner party before answering the new position, Brenna will try to persuade Jake to pose as her fake boyfriend. Jake, already interested in getting to know Brenna better, obviously only accepts with one condition: he goes to the fake date if she goes to a real date with him later. Without much alternative Brenna ends up accepting, and then my friends the story will actually begin. 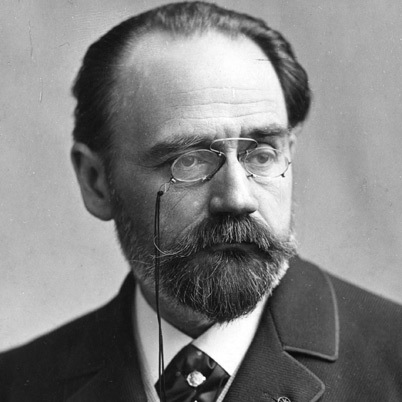 Both will begin to understand that behind the first impression there is a lot of content between the two sides. Jake will learn that no matter how powerful she seems, Brenna is very fragile and hides a very hard secret from her past that torments her to this day, while Brenna will realize that Jake is more kind and gentle than he lets everyone knows. And that’s the story, little friends, read it, because seriously, to me this one was better than The Chase, the first book of this spin-off series! For the third book (The play) I expect a very light and funny story because we already kind of know who the couple will be. I advanced that from what I read in goodreads etc that we will finally have the story of Hollis being told (one of the new residents from the house we love so much). Now is to hold the anxiety until the released in October of this year! 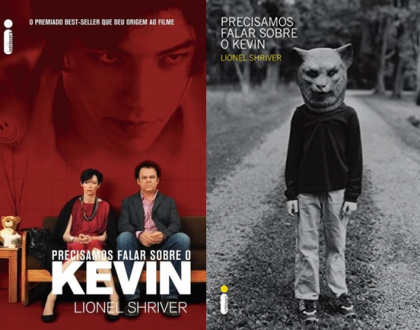 Eu li no kindle em inglês! Ele vai sair em português provavelmente fim desse ano ou começo do outro pq a editora publicou q comprou o direito da série toda spin-off pra traduzir. Fica ligada q assim q eles divulgarem eu aviso qdo souber.